Theft merely consists of taking something from another person with the intention to permanently dispossess the rightful owner of it. It is stealing without force or fear. Embezzlement is a form of stealing in which an employee redirects money intended for their employer or other staff members for their own use. In the same way, fraud is also one way of theft, which involves the use of delusion to deprive someone of their property permanently. Robbery is another specific intent crime; it is defined as the unauthorized appropriation by means of violence or threat of serious bodily injury, of the property of another person with the intention of depriving permanently that person of the object and also profiting. There are two different forms of robbery, one that is characterized by strength over other things and by violence and intimidation on people within the robbery. Breaking a wall, ceiling or floor or break a door or window to gain entry into a place. Breaking closets or sealed or closed objects, picking locks or safe cases to extract its contents. The Theft and Robbery are federal offenses where an individual is deprived of his or her personal belongings. Although both words mean almost the same thing, these terms are different from each other. While both include taking the property of another, the differences lie in the way it is accomplished. We present two examples to have greater clarity on these items. Theft is when a person takes other's belonging illegally with the intention of not returning them. The victim does not have to be present at the scene of the crime. Theft is defined as the stealing act and disposing of personal property with intent to expropriate the rightful owner of it. Theft is quick to do (steal and run away) or invisible (steal without realizing at the same time). In many jurisdictions, robbery and theft are assumed to be synonyms. Theft is also used as a casual term for certain property crimes, embezzlement and fraud. Depending on the stolen object and the region, the punishment may include penalties, fines or jail time. Robbery is defined by law as a crime that is done to try to take something of value from a person by force, intimidation or force over things. For this to happen, a person must be involved. If a person is not involved it cannot be counted as a robbery. Furthermore, robbery is defined as the stealing act or practice, specifically stealing from a person or in the presence of another by violence or threat. Robbery can include multiple victims or victim. Bank robbery for example commonly involves weapons and victims. How can you avoid a conviction for Theft or Robbery? Crimes of theft and robbery can result in misdemeanors or felonies. If this is your case, you need to be clear about your rights. You need to seek the assistance of a criminal lawyer who will analyze all information in your case and give you the best possible chance of receiving a favorable outcome in court by showing insufficient evidence, providing factual innocence and others. The legal system is intimidating, confusing and even terrifying and frustrating. That is why it is essential to hire an attorney who can give a reason for the options available and defend you at every stage of the process by committing to outstanding, personalized legal representation. 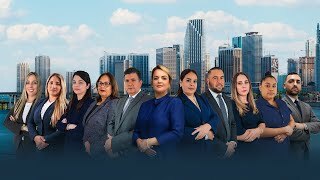 Gallardo Law Firm and its attorneys are committed to helping people who have been convicted of theft and/or robbery and require the assistance of a qualified criminal attorney with integrity and honesty, acting in accordance with the highest ethical standards to handle their criminal defense. Regardless of the matter the clients are facing, our attorneys guide them through the legal process with the utmost respect and care they deserve. The attorneys will explain how the law affects their cases and the legal options available. We also have online help on the website, advising prospective customers of their rights. Any violent crime can have long-lasting effects; contact our criminal defense attorneys and discuss your theft or robbery case and learn about the potential penalties. Is it important to tell the truth to my lawyer? You should know that it is very important to tell the truth because lying can cause more harm than good. Discussions with your attorney are protected, the lawyer receives the largest and most valuable information through the client, this being a major source. What is the difference between arrest and conviction? An arrest is merely apprehension and taken into custody an individual by the police. It will never mean that you have been found guilty of any crime. The prosecutor will let you know later if you are guilty of a crime or not. If the prosecutor decides to impute a crime, the charges may be dismissed at the end. Anyway you may face charges, attend the trial and be released. So, we must be clear that one has been arrested, not convicted, and has not been found guilty of any crime. A conviction is when you already filed with the court and was found guilty of a crime regardless of the level of severity of this and then it will reflect a conviction on your record, no matter if you spend time in jail or not because there are other ways to pay fine sentences such as, voluntary serviceid and others. Do I have any benefits if I give myself voluntarily? If you come before the charges are filed you may be able to avoid extradition. This is something positive and works to benefit the client. Judges see this act favorably. If the police arrest a family member, can I send a lawyer to represent him/her? Yes, you can do it but remember that the right to a lawyer is personal to the defendant which means that the defendant must request the right to counsel. Can I be checked by the police if I am arrested? Yes, the police do not need a warrant to check it in case you are arrested. Are you entitled to an attorney at any time during a police interrogation? You have the constitutional right to an attorney at the time of police interrogation. Remember that everything you say can be used against you; you can say that you will not answer any question until a lawyer is present. Are there different types of thefts? Yes, some types include: shoplifting, credit card fraud, petty theft, grand theft, identity theft and carjacking among others. How do you define petty theft and grand theft? Petty theft is a serious offense generally considered a misdemeanor. Being Grand theft a much more severe offense of stealing things with a monetary high value, a minor felony can be considered.